This month’s free sheets look at the sounds single letters make at the beginning and end of words. They are ideal for consolidating children’s phonic knowledge on letter sounds before they start playing on the app and learn to read and spell short words. The sheets can be used by any children who are beginning to recognise and say the sounds of letters and are just starting to learn to read. Do the sheets and then try the introductory level and level 1 of the app with your child: you won’t be disappointed. 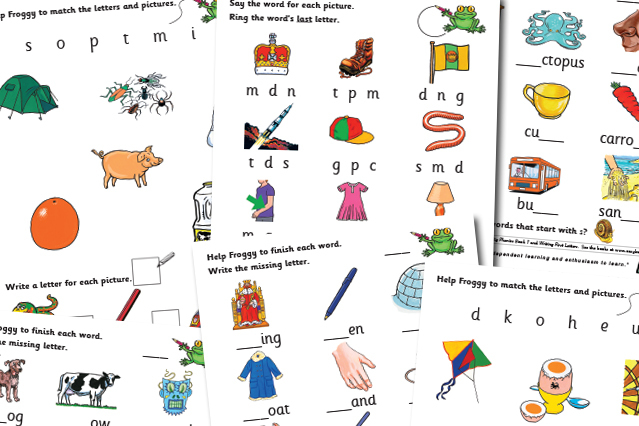 Get the Froggy’s Single Letter Sounds sheets here.